As I have posted before, we decided to shave off some 150km off the trip by skipping the boring and busy portion of Rhone-Alpes between Macon/Lyon and Grenoble. Out of Cluny, we took a voie verte for Macon where we were to board a train for Grenoble with a change in Lyon. The voie vertes are supposed to be designed with an average cyclist in mind – by French standards, no more than 3% gradient. This VV head a few short climbs in excess of 15%. 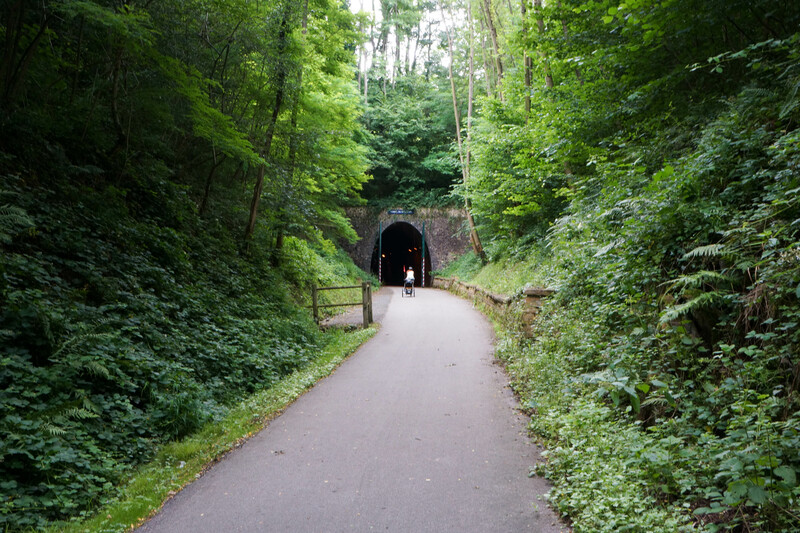 It followed what used to be a railway line from Cluny to Macon (roughly along the high-speed TGV track) to a tunnel now dedicated to cyclists. It’s around 1.5km in length and is in a very good condition. It’s an approximately 200 meters of climbing to get to the tunnel from Cluny and it’s downhill almost all the way to Macon Ville from the tunnel’s exit. We boarded a train for Lyon at 3pm. There are no lifts at the station and I had to carry all of our gear 2 flights of stairs down and up to get to our platform. Same in Lyon to change to the platform for Grenoble. Trains are not Dianna’s favorite mode of transport. She couldn’t settle down, couldn’t sleep, couldn’t eat and just kept on crying and screaming for a 2 hours. All our efforts to calm her down were useless. We were relieved to finally get to Grenoble (broken lift, 2 flights of stairs) and put her to bed in a hotel that was conveniently near the train station.